This paper estimates, for six different age groups, whether and how migration influences inequalities in health between deprived and non-deprived neighbourhoods in the Netherlands. Data were accessed from the Netherlands Housing Survey 2006. Using multi-level logistic regression analyses, we compared the health of migrants with that of nonmigrants in the area of origin and assessed the role of demographic and socioeconomic characteristics. Next, we assessed the magnitude of health differences between deprived versus non-deprived areas among migrants and non-migrants. 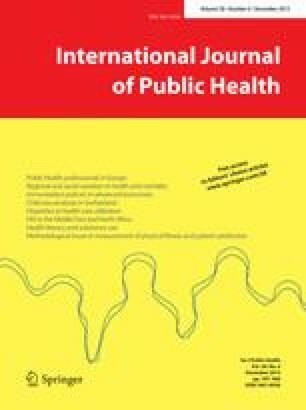 For many age groups, migrants into non-deprived areas were healthier and migrants into deprived areas had similar levels of health compared with non-migrant populations in the area of origin. These differences in health were not explained by demographic and socio-economic characteristics. For all ages and for people aged 25–34 years we found smaller area inequalities in health among migrants compared with non-migrants. For most other age groups, about equally large differences were observed. For most age groups, the results do not provide empirical support to the expectation that migration would enlarge health differences between deprived and non-deprived neighbourhoods. 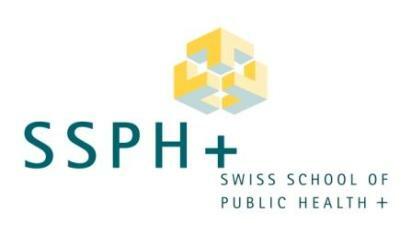 The present study is part of the URBAN40 study, which is supported by a grant of The Netherlands Organization for Health Research and Development (ZonMw). The authors wish to thank Wim Busschers for advice on and assistance with statistical analyses.